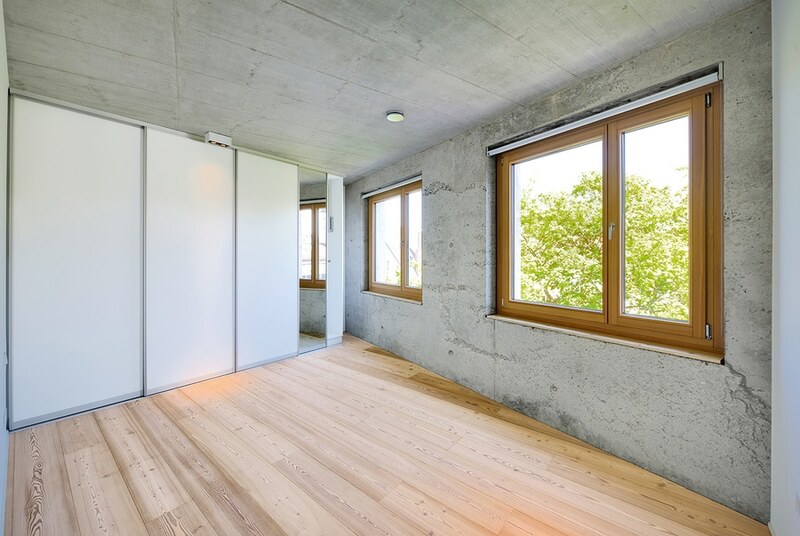 A material mix for true purists we can find in the very successfully implemented construction project by hochstrasser.architekten for a residential and commercial building in the center of Ulm, Germany. 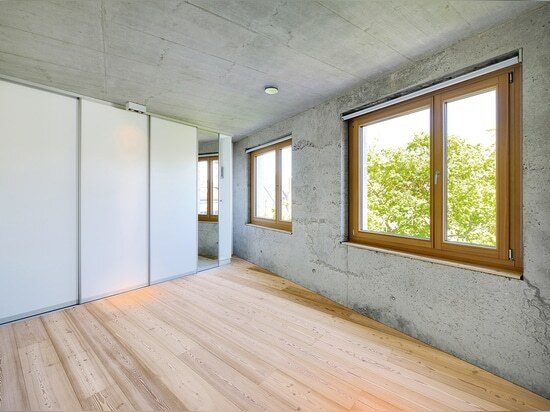 As a central design element, the architects decide to use modern exposed concrete, for the outside and the inside of the building. 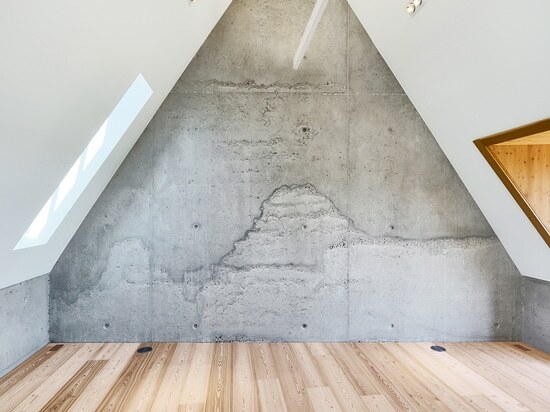 Each surface of the exposed concrete is unique. 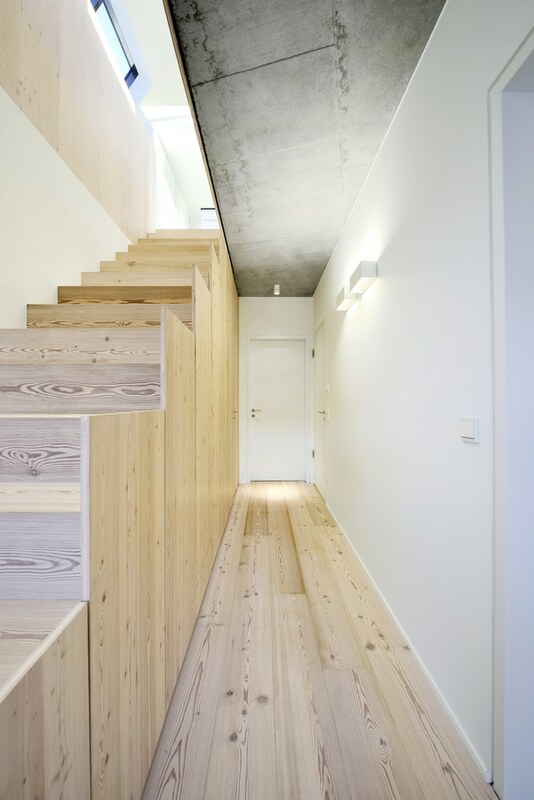 The same with the lively mafi larch floor, which got brushed, lye treated and white oiled. 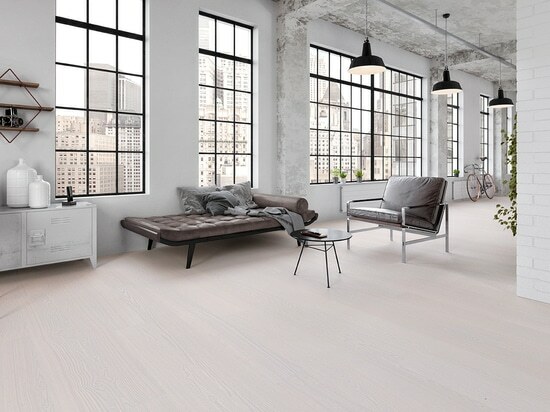 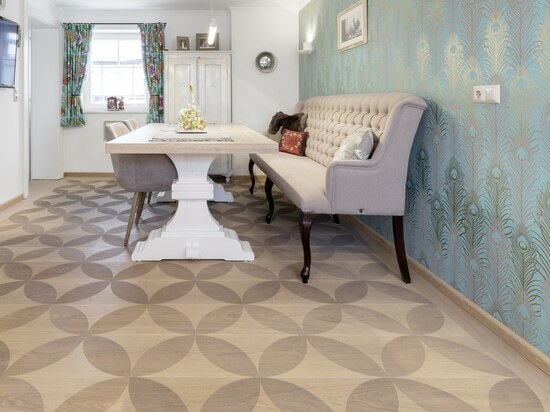 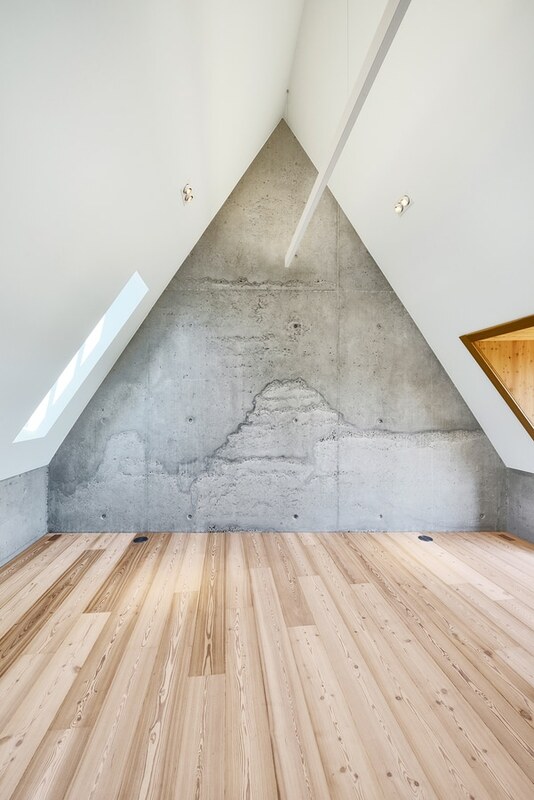 This natural mafi floor is the perfect contrast to this striking building material. 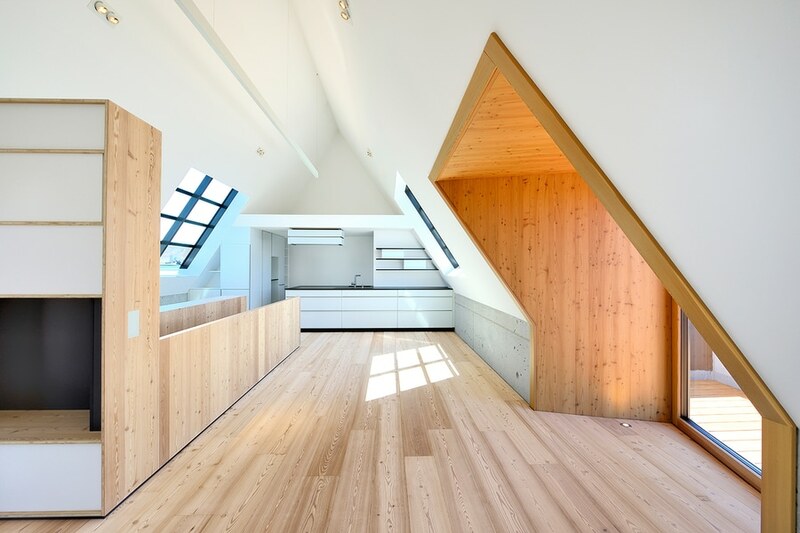 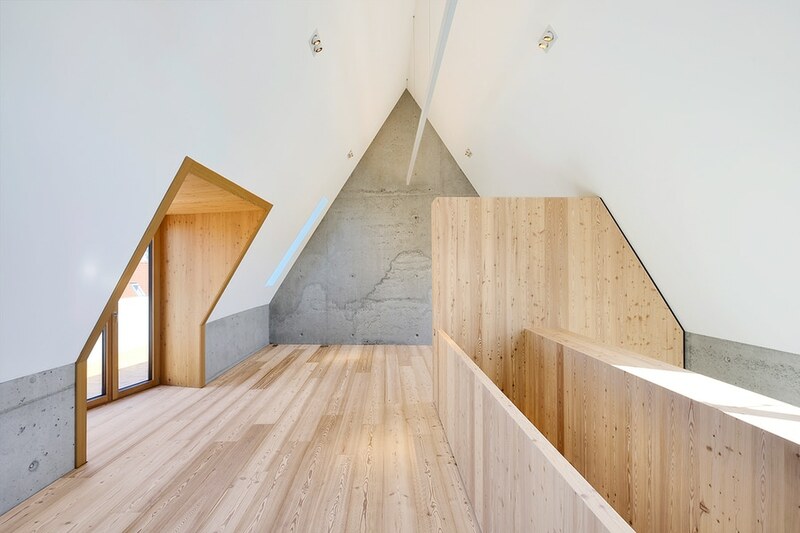 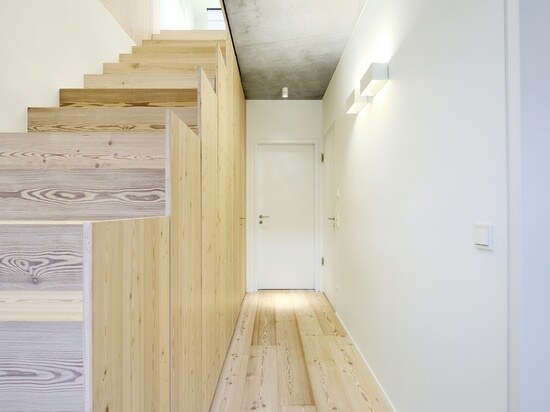 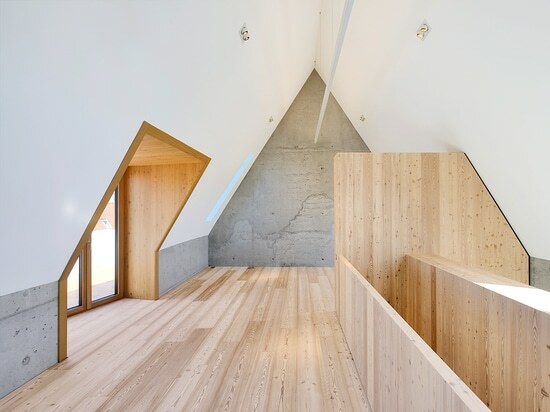 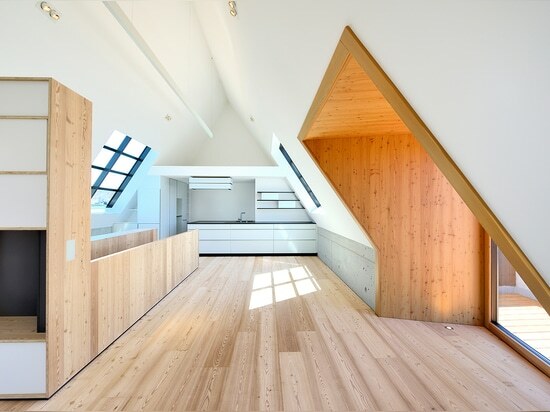 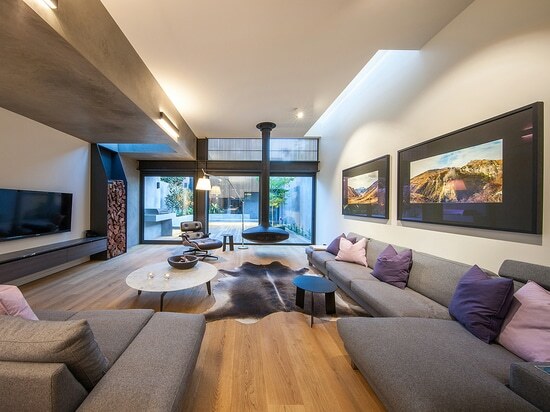 The characteristic larch wood is used for floors, stairs and the wall coverings, which gives the purist room concept warmth and safeness without appearing rustic.